Far away in the land of vegan cooking, there lives a magic ingredient named TVP. It's texture resembles ground beef, minus the fat and cholesterol. This little gem is also chock full of nutrition like protein and even fiber. But the tragedy of this story lies in the fact that not many people know that it exists...and if they do, they often don't know how to cook with it. Well, it's time for all that to change. The "Green Wizard of the Midwest" (aka "Me") is here to save the day and teach you how this magical ingredient can be used to "veganize" traditional dishes, thus enhancing their nutritional value and decreasing fat content. Hopefully before we're all done, you'll be starting your "happily ever after" as you dig into a bowl of spaghetti with TVP. Now TVP is nothing new on this good ol' green blog of mine. I posted about it several months ago in this post. But in the past few weeks, I've come to use TVP more often as my life has took for a turn for busy as I went back to my teaching job, and I just can't say enough good things about how quick, easy, and cheap this stuff is and I was determined to get the word out there about it. So I'm back again to post about TVP, and this time I'm armed with a short little video that shows just how easy it is to cook with. 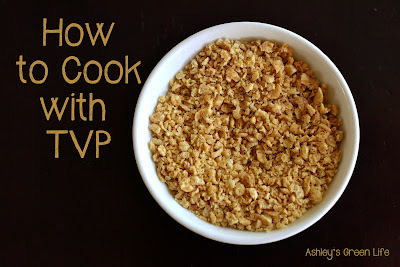 TVP (or it's real name: Textured Vegetable Protein...sometimes it's called TSP for Textured Soy Protein) is actually "defatted soy flour" that has been cooked under pressure and then dried. It comes in a granule/nugget-type form that looks a bit like oatmeal and when liquid is added to it, the granules "re-hydrate" and take on a texture similar to ground beef. Sound too weird to try? I know how you feel, I thought the same thing when I went vegan, but did you know you may be eating it already? If you look closely at the back of most veggie-meat replacements like a Boca Burger or Morningstar Farms hot dog, well, you can pretty much bet that one of the main ingredients in those "meats" is TVP. With that in mind, one benefit of using plain TVP is that we're cutting straight to the source! 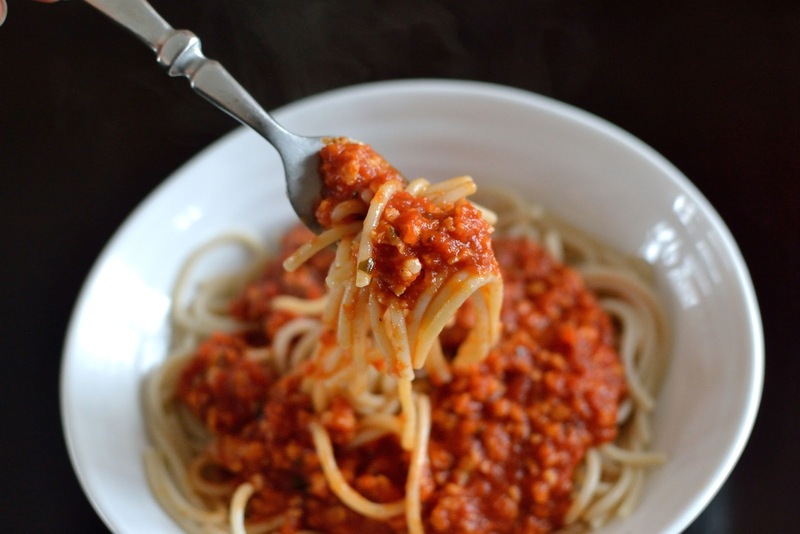 Instead of pretend "meat crumbles" with a long ingredient list (that usually includes wheat- a "no no" for me) I stick with plain ol' TVP to give me that reminiscent ground beef texture, minus all the extra sodium and preservatives. Health benefits of TVP: high in protein (12g in 1/4 cup dry TVP) virtually no fat, high in fiber (4g in 1/4 cup dry TVP) iron, magnesium, and phosphorus. Other benefits of TVP: it's cheap! A 10 oz. pkg online costs about $3 here or you could find it at your local health food store for pretty close to that price as well. It's often found in the baking aisle. 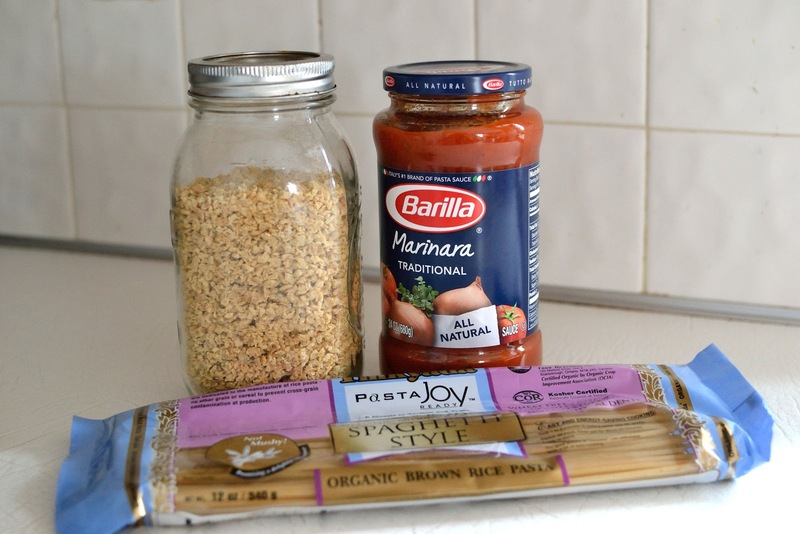 Now by using a 1/2 cup per meal (the amount called for in this recipe) you could get about 6 meals out of that one cheap little bag! That's 50 cents per meal...quite a savings since 1 lb of ground beef or turkey would probably cost you about $1.75 or more. Sweet! Sloppy Joes...find the recipe here. As a meat-less meat sauce over spaghetti. I make gluten-free, vegan lasagna. 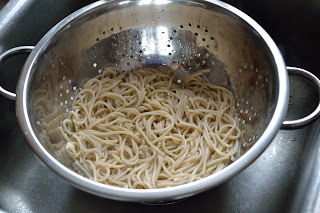 Now I'm a fan of spaghetti in any form, but when I was looking to add a little extra protein to my usual spaghetti dish, I found a friend in TVP. 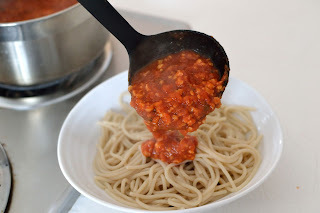 As you'll see in the steps below, you just hydrate the TVP, and then stir it into the spaghetti sauce....BAM, you've got yourself one quick and easy "meat-less meat sauce". Delicious spaghetti from this? Just wait and see! That brings our vegan fairy tale to an end...I hope this has helped you learn a bit more about the fabulous meat-replacement, TVP. 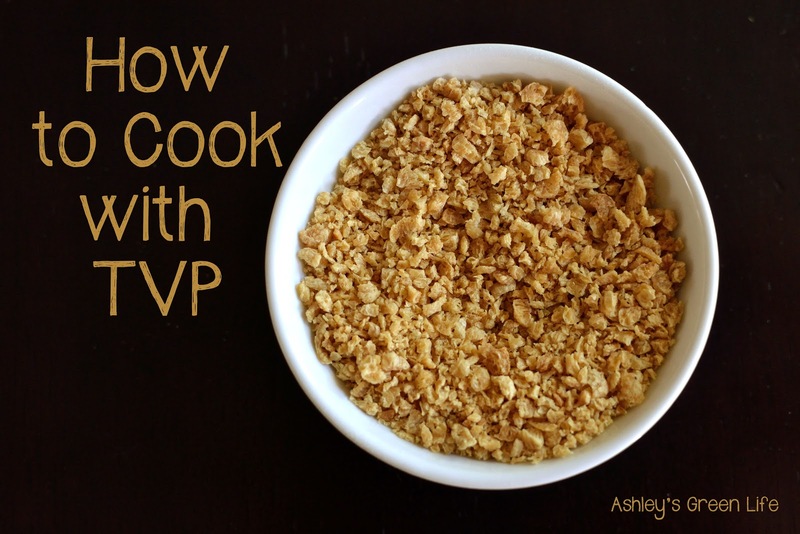 Have you cooked with TVP before? If so, share your favorite recipe below. I would love to learn some new ones!